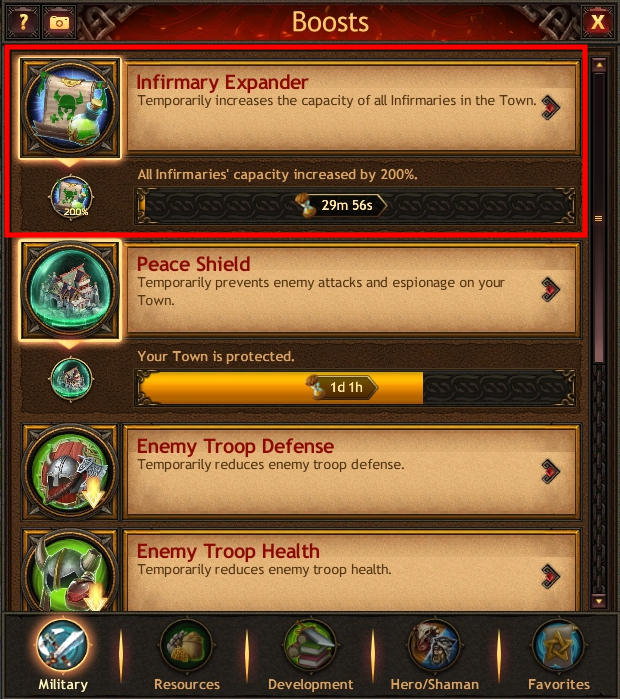 The Infirmary Expander is an item you can use to increase the capacity of all Infirmaries in your Town. For example, if your Infirmaries allow up to 10,000 wounded warriors, activating the 1-Hour Infirmary Expander, 100% boost will increase healing capacity up to 20,000 units for 1 hour. 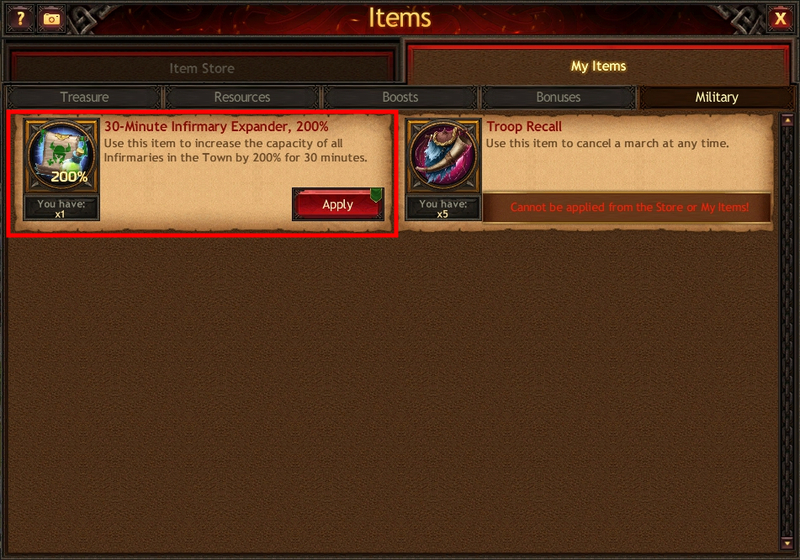 The 1-Hour Infirmary Expander, 100% and 30-Minute Infirmary Expander, 200% can be purchased as part of Bank offers. 2. Activate the boost in the Boosts window, the Military tab, the Infirmary Expander category.